TEHRAN, Iran - Waving Iranian flags, chanting “Death to America” and burning U.S. and Israeli flags, hundreds of thousands of people poured out onto the streets across Iran on Monday, marking the date that's considered victory day in the country's 1979 Islamic Revolution. In Tehran, crowds streamed in the rain from a dozen of the capital's far-flung neighbourhoods to mass in central Tehran Azadi, or Freedom Square, on Monday, waving Iranian flags and chanting “Death to America” - a chant that has been standard fare at anti-U.S. rallies across Iran. Every year, the anniversary festivities start on Feb. 1 - the day Khomeini returned home from France after 14 years in exile to become the supreme leader as Shiite clerics took power - and continue for 10 days, climaxing on Feb. 11. 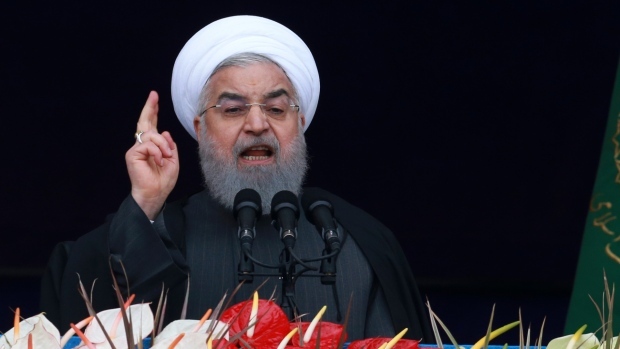 Speaking from a podium in central Tehran, Iranian President Hassan Rouhani addressed the crowds for nearly 45 minutes, lashing out at Iran's enemies - America and Israel - and claiming their efforts to “bring down” Iranians through sanctions will not succeed. 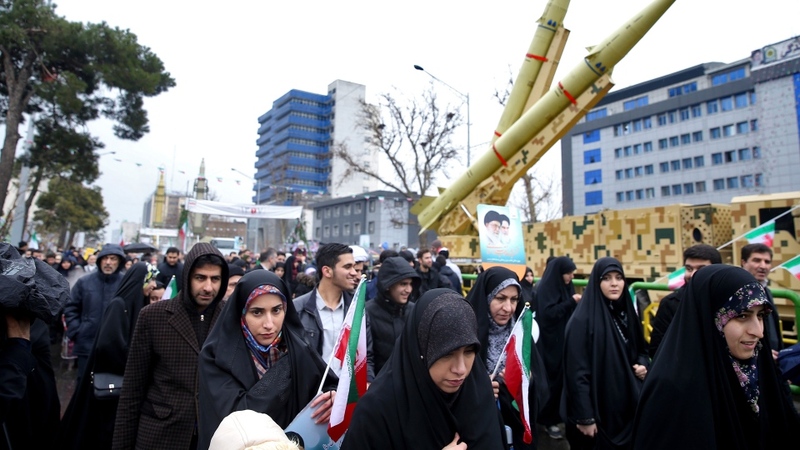 In the backdrop to Monday's marches, the military displayed Iranian-made missiles, which authorities showcase every year during anniversary celebrations and which now have a range of up to 2,000 kilometres (1,250 miles) and are able to Israel and U.S. military bases in the region. Last week, Supreme Leader Ayatollah Ali Khamenei defended the “Death to America” chants, saying they are aimed at America's leaders such as Trump and not its people.